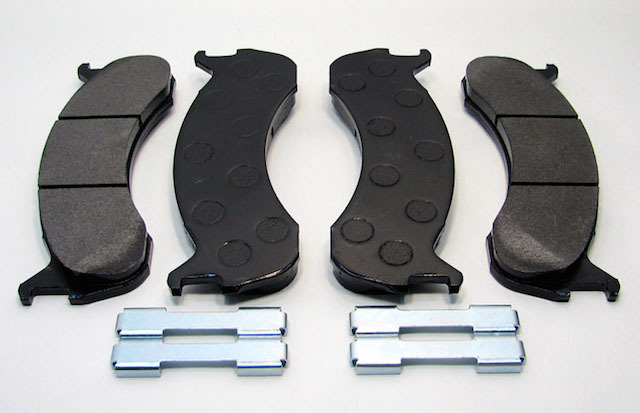 Phoenix Friction's HDM disc pad line is engineered to address the consumer or fleet that is looking for a pad that will allow the entire brake system to achieve the lowest cost per mile and maintain a high level of brake safety when vehicles are operating in extreme conditions. The cost of the pad versus the number of times the brakes will need to be changed (including related parts like rotors, calipers, seals, hardware, and labor) is the true measure of value in a commercial brake product. Other issues such as the effect on the environment can also impact the decision making, which is why we do not have any copper in our brake pads. So what makes our pads so special? The first thing you should know is that they are made right here in the USA! We do this so that we can maintain consistent product and ingredient control. All of our pads are produced to our proprietary formula where each ingredient is selected to yield the best impact on overall pad performance and value. The type of steel fibers, resins, carbon, and other ingredients have been tested in real world applications for many millions of miles. Compared to traditional replacement pads, our HDM Fleet pads can operate at temperatures up to 1000 degrees without significant friction fade or loss. All of our HDM disc pads are integrally molded using a Positive Mold Technology to a specially treated backing plate. These pads can withstand extremely high shear loads so that pad separation is never an issue in the field. Slots and chamfers are added as per Original Equipment specifications. Every set is also electrostatically powder coated for protection from corrosion. If you would like to know more about our pads or you are interested in a fleet quotation, give us a jingle at 877-570-5630.